The beloved theatrical classic from Tony Award-winner Joseph Stein, and Pulitzer Prize- winners Jerry Bock and Sheldon Harnick, Fiddler on the Roof is directed by Tony Award-winner Bartlett Sher (South Pacific, The King and I); choreographed by the acclaimed Israeli choreographer Hofesh Shechter; inspired by the original choreography of Jerome Robbins; and has musical direction by Ted Sperling. As many know, Fiddler on the Roof is the heartwarming story of fathers and daughters, husbands and wives, and life, love and laughter. This classic musical is rich with Broadway hits, including “To Life (L’Chaim! ),” “If I Were A Rich Man,” "Sunrise Sunset,” "Matchmaker, Matchmaker,” and “Tradition.” We can’t wait. Plus, we love its place in theatre history. 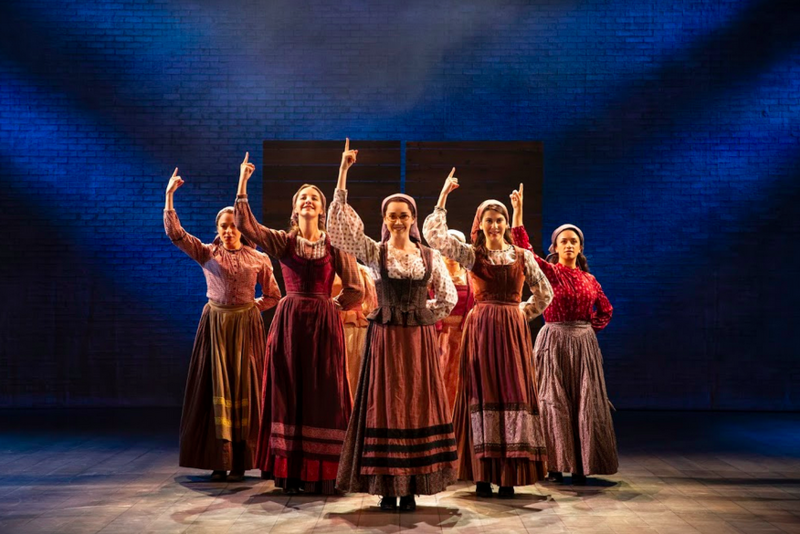 In fact, the original Broadway production of Fiddler on the Roof, which opened in 1964, was the first musical in history to surpass 3,000 performances. The show won the 1965 Tony Award for Best Musical in addition to eight other Tony Awards that year. This acclaimed revival proudly introduces a new generation to the iconic musical adored across the globe.